It was a Last Sunday of April, one of the hottest day of this summer, yet when we arrived at 5 am for the arrangements, we found people started trickling in dot at 5.15 am sharp. 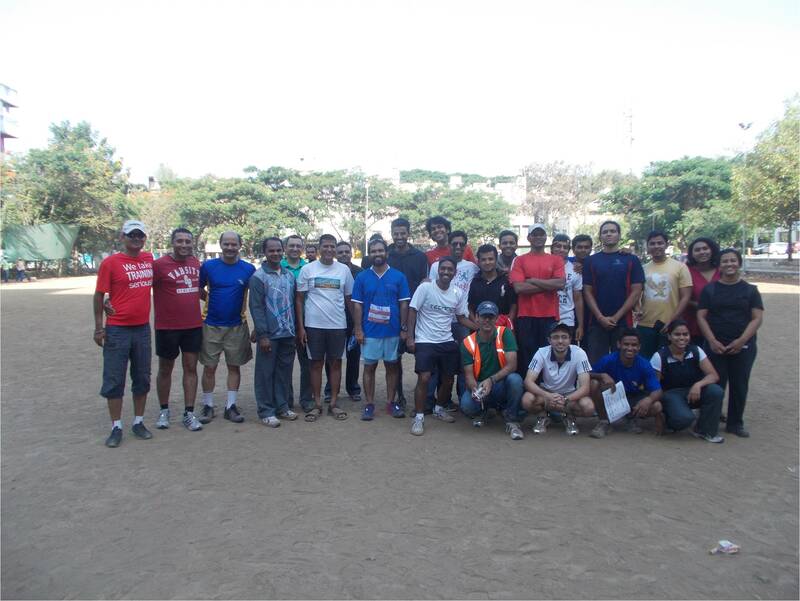 That gave us the sense of discipline of Runners of Pune Running (we stick to our time!!) 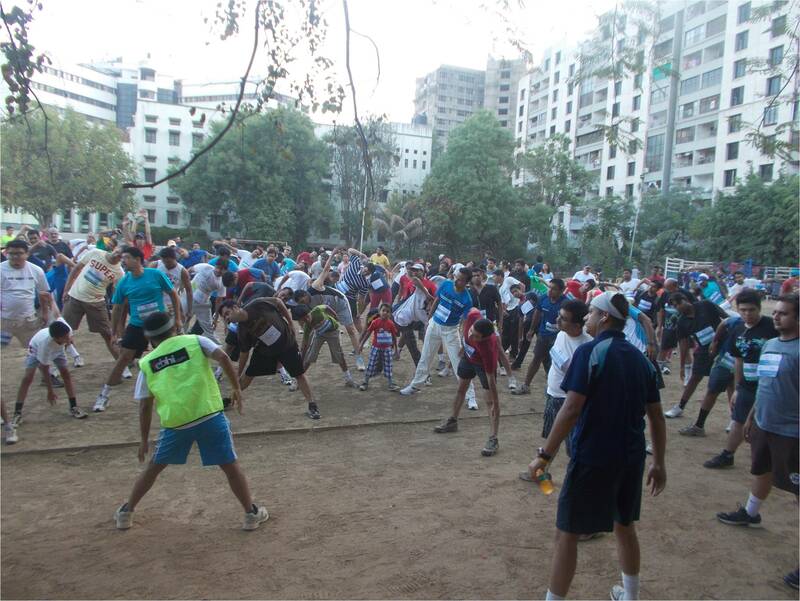 and in no time 90 + Runners gathered for 15k and 21 k Run. When their Run was flagged off at 6 am; we found sharp 6.15 am 5 k and 10 k Runners (300+) started gathering, exchanging notes, some warming up, some first timers with anxiety on their face, some in group with “No Problem” emotions on their faces, some with complete family Father, Mother and Children all ready to run together, it was a wonderful sight (It showed how Pune Running in no time has made difference in people of Pune); it was like they were all waiting for Last Sunday of the Month. Another enjoyable sight was when Runners used to finish their run; they used to have a look at their watch; some were happy, some grunttled on themselves for not having clocked their best and taking a vow to do it next time, some had a look of achievement but common expression on everyone’s face was SMILE!! How could it have been possible to get a similar smile on 400 + people.. No doubt it is an example of perseverance, wherein regardless of any hurdles, Pune Running has shown Grit and Determination in instilling such an Healthy Life style which now people of Pune have made it as an habit of themselves. 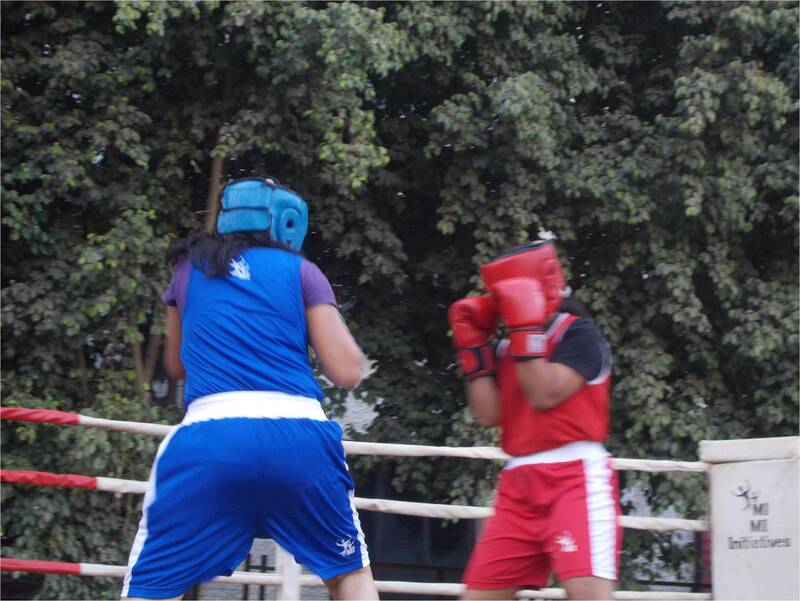 The event also saw Two Boxing bouts; one in boys category and one in girls category; for sure all the runners enjoyed it which was evident in a thunderous applause after the bouts.. It was also an unique day when we had Mr. Manoj Pingale an Olympian in Boxing 1988 Seoul, and an Arjuna Awardee, and Mr. Mangesh Kamble, an Asian Gold Medalist on the Boxing Ring Together.. Thanks to Pune Running for giving us an opportunity to host the event and making it Run towards encouraging Boxing Fraternity of Pune!!! God Bless!! Keep up the Good Work! !